Superman: The Movie returns to theaters for its 40th anniversary in a limited run engagement. Check out the trailer below as tickets are now on sale. Fathom Events and Warner Bros. are bringing Superman the Movie 40th Anniversary to select cinemas nationwide for a special three-day event including the 1941 Max Fleischer Superman animated short The Mechanical Monsters! Truth, Justice and the American Way return on November 25, 27 and December 3. 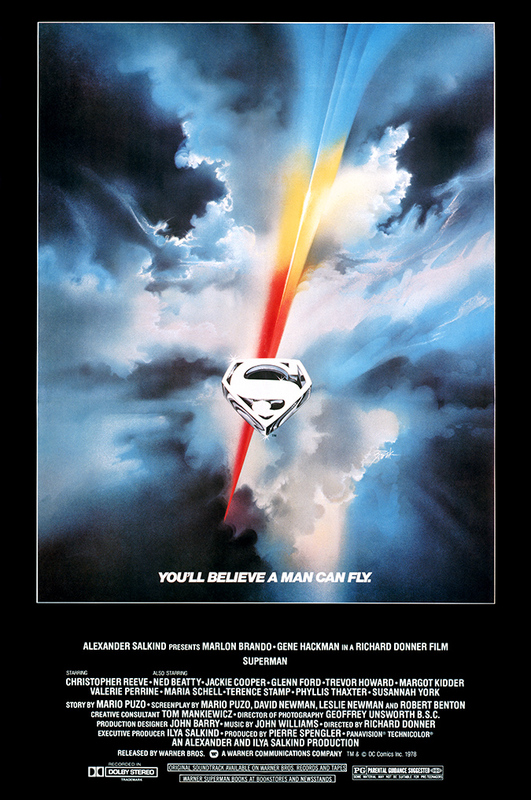 The movie was first released back on December 15, 1978 and made movie viewers believe a man could fly. The flick had an epic score from John Williams starring Christopher Reeve as the Man of Steel, Margot Kidder as Lois Lane, Gene Hackman as Lex Luthor, Jackie Cooper as Perry White, Ned Beatty as Otis, with Marlon Brando as Jor-El, Glenn Ford as Pa Kent, Phyllis Thaxter as Ma Kent, and teases for the sequel featuring Terence Stamp as General Zod, Jack O'Halloran as Non and Sarah Douglas as Ursa. Superman grossed over $300 million, which in today's dollars would be the equivalent of over $1.1 billion. Over at Rotten Tomatoes, the film has a 94% Fresh score, with 86% of the audience stating they liked it. The movie spawned three sequels with films released in 1981, 1983, and 1987.